With the rapidly increasing population, the number of mobile phone users is also incrementing day after day. If the facts are to be believed, then a total of 80% mobile owners use Android based phone for their daily use. In every technology the problem arises when that technology starts being used for negative purpose of for a sin. The same can be done with this OS too. There is much vulnerability in every technology that are tested and removed with the passage of time. The same is going with Android. Till now many versions of it has been launched with more security. But still some flaws remain in it. So, keeping them in mind, we are presenting here the few basic methods that can be implemented to keep your smartphone secure. 1- Use Genuine and Verified Apps: The no. 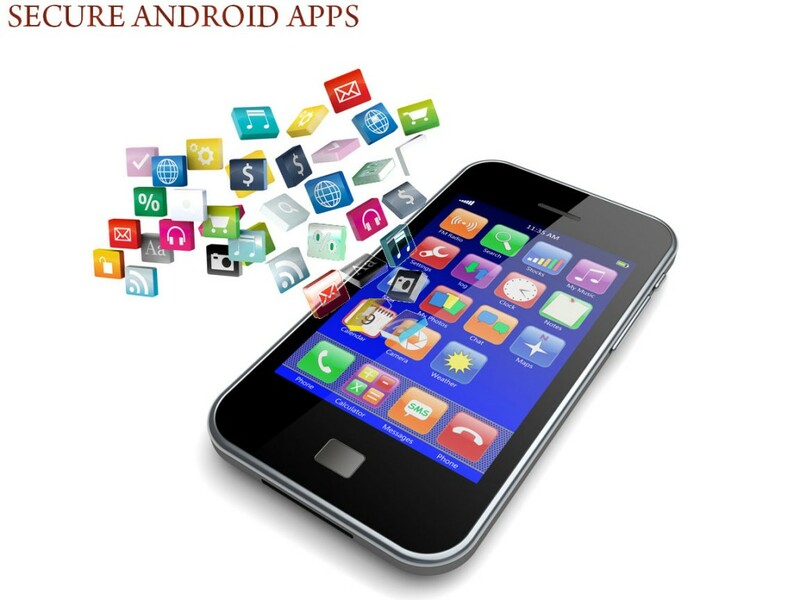 of Android applications are increasing with a high rate which have confused the users to select the right one out of them. Actually, Applications is the weakest part through which a malware can get into your mobile and access your voice mails, call logs and much more personal data. So, well always prefer to download and install a genuine App from Google PlayStore. Playstore is considered to be the best secure wallet of Android Apps. 2- Be secured while online: Whenever you are on-line, your mobile is easily available for thief to get hacked. To foil thief, you must use a browser with high securities. We suggest Google Chrome, FireFox to use. Apart from this, use a best featured anti-virus with Firewall capability that can halt the unexpected requests or permissions. 3-Secure your communication path: Use a secured path for whatever communication you use to communicate. Protect your smartphone from any phishing message of link. Use the default messaging platform for messaging and calling. Any other App may consist of an open terminal which leads to data leaks. Also while using social media Apps, try to use secure options from its preferences to protect your data. 4: Secure your Mobile from unwanted users: The data can also be stolen by any known person who uses your mobile phone). So, we always prefer to use either numeric lock or the Face Lock (uses camera to detect the face) to lock your mobile while in idle state. Except this Screen lock, you can also lock your individual apps that you prefer to hide from unwanted friends. AppLock is one such App. 5- Encrypt your data: For any sort of unwanted surveillance, we advice always to encrypt the data. But while encrypting some points are to be considered. The process of encryption must not be stopped while in progress. It can’t be turned off ones it is ON. Apart from this top considered methods there are many more that should be considered, but these are the top ranked points need your attention towards your smartphone.